Alfretta Wilhelmine Moore McCallum, b. 1874 d. 1953. Picture taken around 1908. However, as I began to look further, I uncovered Etta’s large family: not only did she have a sister, but also two brothers (one that died in infancy), along with many half-siblings. Alfretta Wilhelmine Moore was born on 23 March 1874 in Perth, Ontario, Canada, the eldest child of Alexander and Catherine (Sinclair) Moore. Her sister Minnie followed on 15 November 1876. Alexander was a first-generation Canadian; his parents were from Ireland. On the 27 April 1882 Lawrence Sinclair Moore was born in Lanark, Ontario, Canada. Their final child, James Sanford Moore, was born in Lanark on 16 November 1884. He died soon after birth. Catherine died the next month, on Christmas Day. Two years later, on 7 December 1886, Alexander married Jane Suffron, known as Jennie, in Lanark. Together they would have eight children: Albert (b. 1887 and died in infancy), William (b. 1889), Clarissa (b. 1892), Annie (b. 1894), George (b. 1896), Violet (b. 1899), Gladys (b. 1901), and Herbert (b. 1907). Alexander and Jennie moved their growing family from Canada to Chicago, where Clarissa, Annie, and George were each born, before returning to Canada and settling in Ottawa. Their last child, Herbert, was born in Perth. It appears that Lawrence lived with his father, as they were all in the same household in 1901. Etta and Minnie, however, appear to have remained in Canada. Lawrence Sinclair Moore, b. 1882 d. 1948. Etta traveled to the United States in 1905, where she married William McCallum on 11 October 1905 in Orillia, Washington, just outside of Seattle. It doesn’t appear Etta maintained any contact with her immediate family in Canada after immigrating. The only picture I have of Minnie is a painting, although the reason I have a photo of Etta is that she sent them to a cousin in Canada, whose descendants held onto them. My grandparents took two trips across Canada to Ottawa, and I believe my mom would have known if they had met any of my grandpa’s aunts or uncles. Many of the younger ones were still living when my grandparents were there, and yet no mention was made of them. 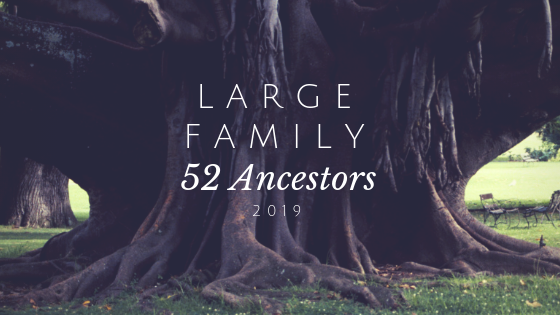 My grandma was a huge genealogy buff as well, so I find it odd that if she would have known about this large family, she never shared it.